FBI and ATF agents spent Monday night sifting through the Southwest D.C. hotel room of Washington Navy Yard shooting suspect Aaron Alexis. Alexis, 34, a former Navy Petty Officer, opened fire at a Navy Yard building Monday morning, killing 12 people and injuring eight. Alexis was killed in the gunfire. Among the injured was a D.C. Police officer who was shot in the legs during the response. Sources told News4 Alexis was staying at a Residence Inn in Southwest D.C. with five other civilian contractors during a business trip to Washington. Police have interviewed all but one of those contractors. The group was reportedly working on an IT project for "The Experts," a subcontractor for Hewlett-Packard. Alexis' rental car was found near the scene of the shooting and authorities are working on obtaining a warrant to search it as well. We are deeply saddened by today's tragic events at the Washington Navy Yard. Our thoughts and sympathies are with all those who have been affected. 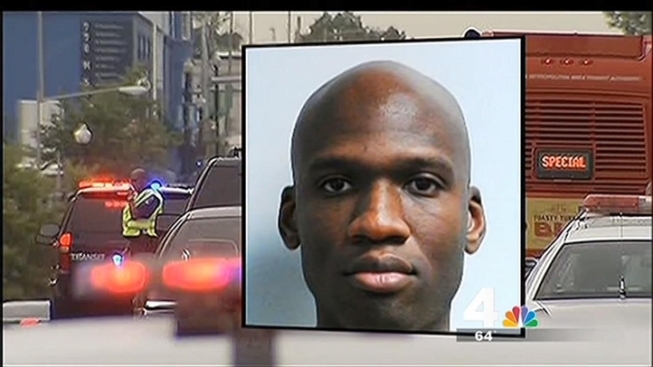 Aaron Alexis was an employee of a company called "The Experts," a subcontractor to an HP Enterprise Services contract to refresh equipment used on the Navy Marine Corps Intranet (NMCI) network. HP is cooperating fully with law enforcement as requested.